Many people who have experienced cancer will often experience associated pains along with it. 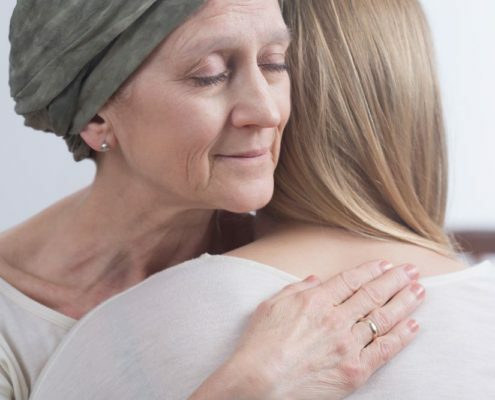 The pain can result from the cancer treatments, cancer itself, and even people who have been cured of their cancer can continue to suffer from the pain. The discomfort that stems from cancer and its treatments can be successfully managed and controlled by applying the correct methods. Cancer pain can be caused by various things and can differ from person to person. The amount of pain can depend on the cancer type, the extent or stage of the disease, and can range from mild and occasional to severe and constant. Usually, the pain stems from a tumor that presses on nerves or body organs – or when cancer cells invade body organs or bones. Cancer pain also occurs as a result of treatments like radiation and chemotherapy. How can Cancer Pain be Treated? Most often, cancer pain is treated with medicine or surgery. When it comes to mild to moderate pain, some pain relievers, called nonsteroidal anti-inflammatory drugs, can help. You can find these types of pain relievers at over-the-counter stores and they do not require a prescription. However, before going this route, patients should check with their doctors first – especially if there are getting chemotherapy. This solution can cause gastrointestinal problems, blood clotting, and increase the risk of heart attack or stroke. For more severe and chronic pain, surgery or injections of pain medicine will help. At Texas Pain Physicians, our doctors can help manage and relieve pain from cancer, no matter what stage.